Greece is a beautiful country to visit from its gorgeous beaches to its snowy mountain peaks. There is fun, relaxation, and adventure for every kind of traveler. Greece is also famous for its numerous different islands, many of which are popular tourist destinations. These islands offer all forms of fun and natural beauty for tourism. One island in particular that has been ranked as one of the top islands to travel to by several magazines is Santorini. This volcanically created island combines a mix of modern accommodations tourists expect with a incredibly long preserved history one can explore. We have all heard the story of Atlantis, the magical flourishing society that was sunken by the Gods and remains at the bottom of the sea. So if you are looking for Atlantis, look no further than Akritori, one of the settlements on Santorini. Historians consider it Plato's inspiration for the legend of Atlantis. If one wants to feel how it was to walk the earth over 3000 years ago, this is their chance. The town was buried under lava at one point during the town’s long history. This lava played an important part in preserving the beautiful artifacts for all of this time, making it a unique tourist attraction. The site has been excavated for 150 years now, but the beautiful ancient historical aspects of this city are still being discovered. Tourists can visit the excavation site that includes pottery and artwork which includes wall paintings and are beautiful to look at. You can also tour the ancient passageways and houses of the ancient Greek civilization. 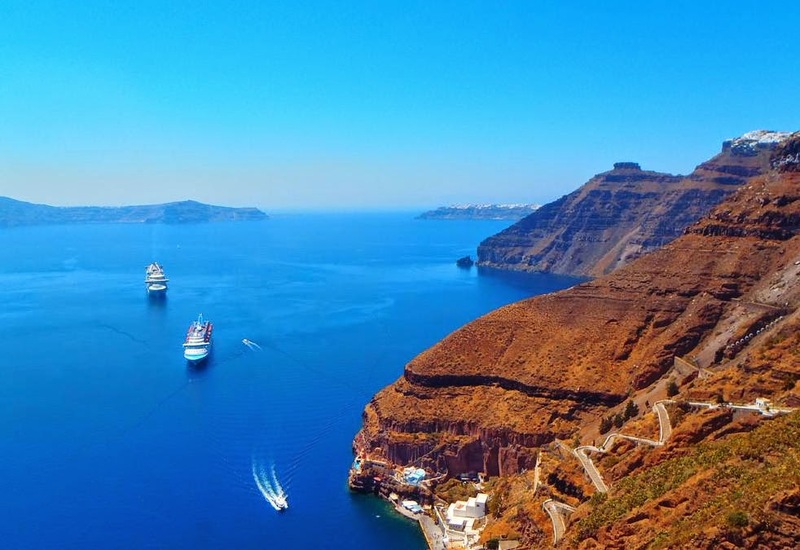 Santorini is a tourist destination you will be glad you went to, not just for its history, but also for what it is today. This luscious island is located on the Aegean sea. It is considered a great tourist spot for the splendid cliffs and breathtaking views. The island is in a crescent moon shape with a smaller piece of land floating next it. There are many reasons to visit the island, one of the most popular being gastronomy. So be sure to try the Santorini tomatoes which are considered quite a delicious treat for tourists. Also for all the fans of wine out there this island is a must for its unique wines from local grown grapes.